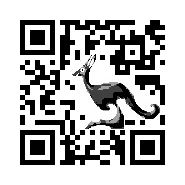 Although QR Codes can hold other content than a website link, more that 80% of the usage will be a website link. And more that 90% of the cases a QR Code will be scanned by a mobile phone. A website link in combination with a mobile phone ask for a mobile friendly website. In most of the cases your personal or business website is made for desktop usage. With the progress the newest generation mobile phones have made, most of the desktop website will also accessible for mobile phone, even with active items like flash. Your website is your lobby for your (mobile) visitors. What is expected from a lobby? Clear, friendly and pleasant instructions in how to proceed further. If you lobby is not appealing, the chance is that you potential customer will turn around and leave. So the landing page of the QR Code must be mobile friendly. Fast loading, you don't want to empty the data-bundle of your client's mobile phones subscription. And mobile users don't want to wait long for page loading. There has been a positive incentive to visit you site, keep this positive flow, if the interest is gone so is your visitor. Even without zooming, that is on the limited screen-size of a mobile phone your page should still look appealing. It could be that a desktop size landing page might look good on a mobile phone, but have it checked. Just as your desktop website, all the next actions should be clear. For this it is important what your visitors should do next when visiting you initial landing page. It is therefore also important that you define what you want your visitors to do, and steer them this way. Also here again..... have it checked that this intention is present on your landing page. If you have your mobile friendly website ready, use a personalized error free, fast scanning QR Code to invite you visitors! If you require such a code, don't hesitate to visit http://www.kangaderoo.nl to see more examples of what is possible with QR Codes.